“Will a Child of God fall from Grace if he or she continues in sin?” Is there in the Word of God the answer to this question? “Favour” six times. This same word is translated in 2 Cor. 1:15 , “Benefit”; in 1 Corinthians 16:3 , “Liberality”; in 1 Peter 2:20 , “Acceptable”; in Acts 25:9 and Acts 24:27 , “Pleasure”. In Ephesians 1:6 the believer accepted (is “Graced”) in the Beloved; the Greek verb is “Charitu”. The word “Grace” is not found in Matthew and Mark; only once in Luke; and only three times in The Gospel of John, all three occurrences in the first chapter. The word “Grace” is found 79 times in Paul’s Epistles. Inasmuch as the word “Grace” is used 22 times in the Epistle to the Romans and the other form of the Greek word “Charisma” is used several times in that same Epistle, we surely are justified in calling The Book of Romans “the Grace Epistle”. Moreover, we can truly say, that Paul was Christ’s “Grace” messenger, although it was Peter who called God, “the God of all Grace”. 1 Peter 5:10 . In that wonderful chapter of Romans 5 , where we have the comparison and contrast between the first man, who brought sin and death, and the Second Man, who brought righteousness and life, the climax is reached in that blessed Divine truth: “where sin abounded, grace did much more abound (superabound).”Romans 5:20 . Thus we learn that God’s grace is altogether sufficient for man’s sin, man’s sins, and for the sins of the whole world, by and through the death of the Second Man. And by careful study of Romans 5 and Romans 6 , Almighty God would have us learn that His super-abounding Grace, through The LORD Jesus Christ, can save the believer not only from the wages of sin, but also from the dominion of sin. “Let it not be” that the believer shall continue in sin that Grace may abound. Romans 6:1-2 . “Let it not be” that a believer shall sin because he is not under the law, but under Grace.” Romans 6:15 . But here we do not have the answer to the question, “Will a believer fall from Grace if he continue in sin?” Is there in the Word of God the answer to this question? And, whom would you consider the more miserable: the Child of God who insists that once in Grace always in Grace and yet continues in sin, or the Child of God, who, because he has continued in sin, has lost all hope, has given up in despair, and insists that he has fallen from Grace and lost his Salvation. Let’s admit that both are miserable and perhaps should be. But what saith the Scriptures? “FOR THE GRACE OF GOD THAT BRINGETH SALVATION HATH APPEARED TO ALL MEN, TEACHING US THAT, DENYING UNGODLINESS AND WORLDLY LUSTS, WE SHOULD LIVE SOBERLY, RIGHTEOUSLY AND GODLY IN THIS PRESENT WORLD; LOOKING FOR THAT BLESSED HOPE, AND THE GLORIOUS APPEARING OF THE GREAT GOD, OUR SAVIOUR JESUS CHRIST; WHO GAVE HIMSELF FOR US, THAT HE MIGHT REDEEM US FROM ALL INIQUITY, AND PURIFY UNTO HIMSELF A PECULIAR (acquired) PEOPLE, ZEALOUS OF GOOD WORKS.” Titus 2:11-14 . Here we learn The LORD Jesus Christ’s purpose in giving Himself for us. “That He might redeem us from all iniquity.” “Purify unto Himself a peculiar people.” “Zealous of good works.” And we learn that the Grace of God that brought us this Salvation through Christ, would teach us how to live. The sinner saved by Grace is to live a righteous life, a life of good works. For such a life, God’s Grace is sufficient. Hear what the Holy Spirit through the Apostle Paul says about it “And God is able to make all Grace abound toward us; that ye, always having all sufficiency in all things, may abound to every good work.” 2 Cor. 9:8 . And for the believer’s infirmity and temptation, God again speaks in the same Epistle: “My Grace is sufficient for thee.” 2 Cor. 12:9 . Coupled with God’s Grace is God’s faithfulness, and again we have the promise: “God is faithful, Who will not suffer you to be tempted above that ye are able; but will with the temptation also make a way of escape, that ye may be able to bear it.” 1 Corinthians 10:13 . 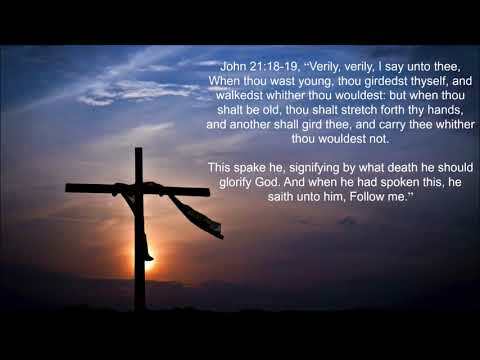 In a message through the Apostle John, the sinner saved by Grace has his word from the Holy Spirit: “These things write I unto you, that ye sin not. And if any man sin, we have an Advocate with the Father, Jesus Christ the righteous.” 1 John 2:1 . In the light of these Scriptures, and many others, we say emphatically to Romans 6:1 …“shall we continue in sin, that Grace may abound?” No! And we say emphatically to Romans 6:15 …“shall we sin, because we are not under the law; but under Grace?” No! Now, we certainly do not want to limit the possibilities of the Grace of God IN the life and FOR the life of any believer. And while we know that the Word of God clearly teaches that God’s Grace is sufficient for every trial, every temptation and every God given task, and is sufficient to keep the believer from sinning, yet we also know that no believer always does what is right, and always refrains from doing what is wrong. So, question arises…Are we positive in our assurance that the Grace of God delivers from condemnation every Child of God who fails to do right and is guilty of doing wrong? YES! Wrongdoing is sin. Failing to do right is sin. The wrong-doings and failures of some believers are far more numerous than those of other believers, and perhaps the sins of some believers are worse than those of others. But we have to agree that all Children of God do continue in sin to some extent; and perhaps we further agree that there is a difference in being overtaken in sin and willfully committing a sin; and we know that if we sin willfully after we have “received the knowledge of the truth, that there remaineth no more SACRIFICE for sins.” Hebrews 9:26 . Thank the LORD Jesus Christ, there does remain Forgiveness! For not one of us believes that God’s Grace is not sufficient for His full pardon, cleansing and forgiveness for believers who sin, Whether, the sin be willful or otherwise. According to the Word of God, every Child of God needs that cleansing and forgiveness, whether willfully sinning or not. Now some would argue that at the moment of Salvation all of your sins, past AND future, were forgiven, and you were cleansed by the Blood of Christ, and His Righteousness was put to your account. Once, and for all. And to that I say AMEN! And yet we cannot ignore the plethora of Scripture such as 1 John 1:9“If we confess our sins, he is faithful and just to forgive us our sins, and to cleanse us from all unrighteousness.” And this, the Holy Spirit through the Apostle John wrote to “My little children” 1 John 2:1 . That’s Children of God, not unbelievers. So, we can see this is NOT for forgiveness unto Salvation. Now comes this question…Where do we have in God’s message of Grace the statement, that if a Child of God sins, he will fall from Grace? 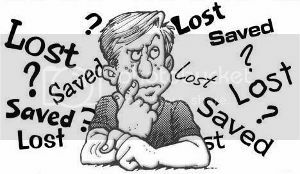 THEN, if the believer who sins does fall from Grace, and by thus falling, loses his Salvation, which, in the beginning was BY Grace, this begs the further question…How many sins, and just what kind of sins, must the believer commit in order to lose his Salvation, or fall from Grace? And that leads to…There must be a line over which the believer must step in order to lose his Salvation. See where this leads…to NO GOOD, that’s where! This propaganda propagated by Priests, Pastors, and Preachers (not all, so save your emails), is nothing less than Priestcraft! A methodology to keep you needing the Priest and NOT thinking you need the LORD Jesus Christ! “Whosoever of you are justified by the law; ye are fallen from Grace.” Galatians 5:4 . The Child of God who knows that he is saved by Grace, knows positively that he is not Justified by The Law of Moses; and therefore he is not fallen from Grace; therefore we must apply some Scripture other than this verse. For here we have, rather, the teaching that some of those who would condemn their erring brothers and would teach them how to keep from falling from Grace, by doing this or refraining from doing that, might themselves be guilty of falling from Grace by the preventive they are offering to others! Look, Salvation is not for sale. Every Child of God should know this fact. Salvation can neither be purchased nor earned. No man deserves Salvation or is worthy of saving. In God’s message of Grace no truth is more clearly taught than the fact that Salvation is never because of man’s good works or religious endeavors. The Child of God is saved to DO good works, UNTO good works, to be zealous of good works, to maintain good works. But…NEVER by, or on account of, or because of, good works, or any works. “IF BY GRACE, THEN IT IS NO MORE OF WORKS.” Romans 11:6 . "Now to him that worketh is the reward not reckoned of grace, but of debt. But to him that worketh not, but believeth on him that justifieth the ungodly, his faith is counted for righteousness." Romans 4:4-5 . And then, "For by grace are ye saved through faith; and that not of yourselves: it is the gift of God: Not of works, lest any man should boast." Ephesians 2:8-9 . Salvation is the gift of God. But, what must the sinner do to obtain that gift? The answer is, “through faith” And even the faith is God’s gift. It is by Grace. "Faith comes by hearing, and hearing (itself), comes by the Word of God." Romans 10:17 . And thus we call out for salvation, "Whosoever shall call upon the name of the LORD shall be saved" Romans 10:13 , and as the Apostle Paul told the Philippian Jailer "Believe in the Lord Jesus Christ, and thou shalt be saved" Acts 16:31 . There is a big difference with Almighty God between working sinners and working Saints. And it is not for us to criticize or change God’s saving message of Grace because someone, who claims to be saved by Grace, is not denying ungodly lusts and living soberly, righteously and godly in this present world. The believer’s inconsistent behavior does not change the truth concerning God’s Grace Message of Salvation. It is the man who tries to supplement the Grace of God with works as the means of Salvation, who frustrates the Grace of God. The Holy Spirit through the Apostle Paul, “I do not frustrate the Grace of God: for if righteousness comes by the law, then Christ is dead in vain.” Galatians 2:21 . “There is therefore NOW no condemnation to them that are in Christ Jesus.” Romans 8:1 . Now, remember, every sinner saved by the Grace of God,should appropriate, by the gift of Faith, the super abounding Grace for a consistent life of godliness, and, as James has written, he should show his faith by his works; but it is unscriptural and untrue to say that any man can be saved by Grace + works. Works can never be the factor in Salvation, but invariably the fruit; and, there should be, in every Child of God’s life, the fruit. But, alas, the fruit does not save him. The Grace that saved him will enable him to BEAR fruit; but he is saved by Grace without fruit. There is perhaps no clearer message of Grace in all the Word of God than Romans 3:24-25 , "Being justified freely by his grace through the redemption that is in Christ Jesus: Whom God hath set forth to be a propitiation through faith in his blood..."
Then, who is the happy man mentioned in this bit of Good News: “Blessed is the man to whom the Lord will not impute sin.” Romans 4:8 . If that happy man is the man who never does wrong, then that is no happy man! He feels jipped! But, the man who is Justified without a cause...Justified...declared righteous? How? Without a cause! That is pure Grace. And pure Grace is the sinner’s only hope. It is not man’s work; it is Christ’s work; the death, burial and resurrection of that Perfect Man who was delivered for our offenses and raised again for our Justification. From first to last, “Salvation is of the Lord.” Jonah 2:9 . The Child of God who would try to pay for Righteousness or Salvation through the works of the Law or religion, after he has been saved by the Grace of God, is little better than the religious person who would NOT receive Salvation as the free gift of God, but prefers to work for it. However Christians, genuine or counterfeit, may use or abuse God’s Grace, no matter if some may give up in despair because they feel they have fallen from Grace by continuing in sin, or if others claim that they cannot fall away from God’s Grace, if once saved, even if they do continue in sin, let us not be guilty of preaching another gospel, a message of Grace and religion mixed. Neither let us endeavor to mete out the judgment to those who are unwilling to be taught how to live by the Grace of God. Rather let us always teach and preach to ourselves, as well as to others, that Salvation first, last, and all the time, is by Grace and Grace alone, and every man who is in that matchless Grace, and trusting in the Work and depending upon the Worthiness of The LORD Jesus Christ, is SAVED, and should day by day manifest his life in Christ, by a spiritual walk, and testimony. In Ephesians 1:13 the Holy Spirit through the Apostle Paul declares that men are saved and sealed by hearing and BELIEVING the Word of Truth, the Gospel of your Salvation. Therefore, here, now, is declared unto you the Word of Truth, the Gospel of your Salvation: "that Christ died for our sins according to the scriptures; and that he was buried, and that he rose again the third day according to the scriptures" 1 Corinthians 15:3-4 . BELIEVE today. The time is short. “If ye were of the world, the world would love his own; but because ye are not of the world, but I have chosen you out of the world, therefore the world hateth you” John 15:19 . I’ve heard someone say: “The Child of God has three great enemies, the external, the internal, and the infernal.” He was referring of course, to the world, the flesh and the devil. They are all three very real enemies, and we only have to look about us today to see how the Children of God are being affected and defeated by them. When we read of the exploits and achievements of the faithful saints of God in the eleventh chapter of Hebrews, we find it is recorded by God concerning them, “Of whom the world was not worthy”Hebrews 11:38 . The world NEEDS the servants and faithful witnesses of God, but is NOT worthy of them. The Children of God, when it comes to conduct, hope, and habit, should be altogether different from the people of this world. Whenever the difference is not noticeable in a Christian’s life, he should pause to examine his life and change his conduct. Because of enmity, criticism, and persecution of an unfriendly world, the experience of a normal Christian is a life of suffering, yet a life of rejoicing in the LORD Jesus Christ. When the Grace of God finds a sinner it finds him or her, “having no hope, and without God in the world” Ephesians 2:12 . It finds them walking “according to the course of this world, fulfilling the desires of the flesh and of the mind” Ephesians 2:2-3 . It is needless to say that anyone who is walking according to the course of this world is walking contrary to the will of God; but the sinner can walk in no other way. How sad the sight, however, when the saint, The Child of God, is seen walking according to the course of this world. Many of the saints of God in this age are so worldly that you would never classify them as saints on account of their walk. Think about how that grieves Him who gave us ALL things! Concerning His disciples, Christ said, “They are not of the world, even as I am not of the world” John 17:14 . But, He also said, “These are in the world”. The sinner is in the world and of the world; while the Child of God is in the world, but not of the world. Dwell on that. “Dearly beloved, I beseech you as strangers and pilgrims, abstain from fleshly lusts, which war against the soul!” 1 Peter 2:11 . The Children of God are considered by God as strangers and pilgrims on Earth, but, whose citizenship is in Heaven, sojourning in a land where their King, the LORD Jesus Christ, has been rejected, and where He is still despised as no other one in all this world is. It was Christ, who said, “If the world hate you, ye know that it hated me before it hated you” John 15:18 . The task of the Child of God, then, is to walk with Heavenly behavior in a world where the conditions and circumstances are unfavorable and the environment anything but conducive to such behavior; to walk among people who are rebels against God and His Heavenly Laws. The Children of God are instructed to walk as becomes saints in the midst of fornication, and all uncleanness, and covetousness, filthiness, foolish talking and jesting. Ephesians 5:2-3 . Christ prayed for His disciples, “I pray not that thou shouldst take them out of the world, but that thou shouldest keep them from the evil” John 17:15 . The Lord does NOT want his disciple to be a recluse in a monastery, but wants him right in the midst of this wicked and ungodly world to touch the world and YET not to he touched BY the world. Get it?? Good! God wants His Children to keep themselves “unspotted from the world” James 1:27 . “Ye adulterers and adulteresses, know ye not that the friendship of the world is enmity with God. Whosoever therefore will be a friend of the world is an enemy of God.” James 4:4 . 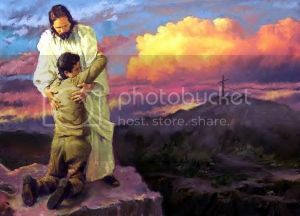 How difficult it is for some of God’s Children to give up the world; BUT if a Child of God loves Christ in sincerity and in truth and will be faithful in his testimony, he will not only give up the world, but the sinners of the world will give him up, when those sinners find that they cannot bring him to the place or compromise. Contact without contamination; association without fellowship, is the relation of the saint to the sinner. “For then must he need go out of the world” 1 Corinthians 5:10 . Now, there are three Greek words translated into the English word, “World”. One is the inhabited earth; one is the created world, and the other is this Age. Christ died to deliver us from this present evil age. Galatians 1:4 . Satan is the god of this age. 2 Cor. 4:4 . And, remember, Demas did not decide to go to Thessalonica on the impulse of the moment. His decline was gradual. As a general rule The Children of God, today, are not plunged out into the world with its lust and pride in one shot. FIRST comes the neglect of the Bible, THEN the neglect of prayer, and THEN the lack of testimony; and then, of course, regular fellowship with UN-believers; after that, one questionable amusement and then another. How many thousands of worldly Children of God there are in our great wicked cities who were once faithful Children of God back in the home town or city or out in the country church. They have been swept out into the current of the world, and find it hard to shake off its strong grip and give up the pleasures of sins. They are sad, poor, and miserable. How beautiful and attractive the prince of this world tries to make this ungodly age for God’s Children. But Christ is so much more attractive, when we know Him intimately and love Him sincerely. The Body of Christ, is the light of the world. The Body of Christ in the world is God’s program; but the world IN the Body of Christ, is Satan’s plan. It is all right for the ship to be in the water; it is all wrong for the water to be in the ship. The assembly, or congregation, of The Body of Christ, that lowers its standards to meet the demands of the world will lose its spiritual power and blessing. Unconquered pride leads many Children of God to court favor and position in this world. “Be not conformed to this world” Romans 12:2 . The Apostle Paul said, “I yet pleased men, I should not be the servant of Christ.” Galatians 1:10 . The desire to be popular with the world is a great temptation. Many Children of God, especially young people, want to avoid all appearances that would cause them to be considered peculiar. Let us always remember that Christians are traveling to heaven, while sinners are traveling in the opposite direction, toward the sorrows of the second death; that the Cross of Christ stands between the Child of God and the sinner. The Holy Spirit through the Apostle Paul wrote, “God forbid that I should glory save in the cross of our Lord Jesus Christ, by whom the world is crucified unto me, and I unto the world.” Galatians 6:14 . This has always been one of my favorite Scripture verses. If it took the death of the LORD of Glory, such suffering of such a Savior, to separate us from the world, certainly we should stay separated unto Him. He said to His disciples: “In the world ye shall have tribulation; but be of good cheer. I have overcome the world.” John 16:33 . “As He is, so are we in this world.” 1 John 4:17 . This is what makes the “Worldly Child of God” such a Paradox. “This is the victory that overcometh the world, even our faith.” 1 John 5:4 . “If ye then be risen with Christ, seek those things which are above, where Christ sitteth on the right hand of God. Set your affections on things above, not on things on the earth.” Colossians 3:1-2 . God hath shined in our hearts to give the light of the knowledge of the glory of God in the face of The LORD Jesus Christ, and He wants us to be“blameless and harmless, the sons of God, without rebuke, in the midst of a crooked and perverse generation, among whom we shine as lights in the world.” 2 Cor. 4:6 ; and Philippians 2:15 . It is a good thing to ask ourselves this question: “Can others see Christ, in ME?”; for God says, “Ye are our epistle written in our hearts, known and read of all men.” 2 Cor. 3:2 . “They may by your good works, which they shall behold, glorify God in the day of visitation” 1 Peter 2:12 . “Walk in wisdom toward them that are without, redeeming the time” Colossians 4:5 . Sinners are closely watching the steps of those who name the name of Jesus Christ. Now, while the sinner should get his eyes off man and on to Christ, the Child of God is The LORD Jesus Christ’s representative on earth, and should always be to the sinner an example and proof of the Power of Gospel over sin. Because of his great sin, King David received these words from God: “Howbeit, because by this deed thou hast given great occasion to the enemies of the LORD to blaspheme, the child also that is born unto thee shall surely die” 2 Samuel 12:14 . The sinful deeds of a Child of God will always cause the enemies of Christ, to blaspheme. Is that what you want?? You have heard the story of the blind man carrying the lantern. Someone asked him if the light kept him from running into others. 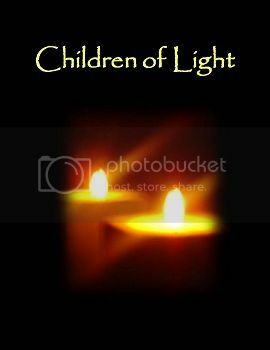 He said, “No, I carry the light to keep others from running into me these dark nights.” Every Child of God should carry such a bright light that sinners would not stumble over them in these dark days. The Almighty God, the LORD Jesus Christ, desires, “that ye should show forth the praises of Him who hath called you out of darkness into His marvelous light” 1 Peter 2:9 . That you, “Love not the world, neither the things that are in the world. If any man love the world, the love of the Father is not in him. For all that is in the world, the lust of the flesh, and the lust of the eyes, and the pride of life, is not of the Father, but is of the world. And the world passeth away, and the lust thereof; but he that doeth the will of God abideth for ever.” 1 John 2:15-17 . This is the instruction that God has given unto the saint: “Put on the whole armor of God, that ye may be able to stand against the wiles of the devil” Ephesians 6:11 . The Christian who fails to recognize the power, subtlety, devices, and wiles, of Satan will suffer defeat at his hands. 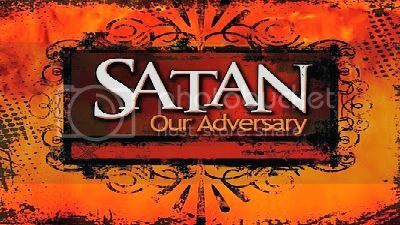 The Apostle Paul said concerning Satan, “Lest Satan should get an advantage of us; for we are not ignorant of his devices” 2 Cor. 2:11 . He wrote to this same congregation these words, “But I fear, lest by any means, as the serpent beguiled Eve through his subtlety, so your minds should be corrupted from the simplicity that is in Christ” 2 Cor. 11:3 . The Apostle Peter wrote: “Be sober, be vigilant; because your adversary the devil, as a roaring lion, walketh about, seeking whom he may devour; whom resist steadfast in the faith” 1 Peter 4:8. The same Holy Spirit, who dictated to these two servants when they wrote, also used the Apostle James to say these words: “Submit yourself therefore to God. Resist the devil, and he will flee from you” James 4:7 . Years ago I heard an evangelist pray to God in these words, “O Lord, rebuke and defeat for us his satanic majesty.” Then after I had studied the Scriptures I realized why he used the title. I could then understand what Paul meant when he said “Satan himself is transformed into an angel of light. Therefore it is no great thing if his ministers be transformed as the ministers of righteousness” 2 Cor. 11:13-15 . Jude records the fact that “Michael the archangel when contending with the devil, he disputed about the body of Moses, durst not bring against him a railing accusation, but said, ‘The Lord rebuke thee” Jude 9 . The Lord Jesus Christ, of course, could say with authority, “Get thee behind me, Satan” Luke 4:8 . “Get thee hence Satan” Matthew 4:10 . But every human being UNLESS equipped with the spiritual armour of God and protected by the power that is in Christ Jesus, is just as helpless in the hand of Satan as is a little mouse in the claws of a cat. If Michael could not rebuke and defeat Satan, surely no human being can. A while back I spoke to a group concerning Satan one evening and the pastor’s six‑year‑old girl was on the front seat. Much of the message went into her little heart. The next morning when her mother went to the door to call her from bed, she saw the little girl shaking her fist and mumbling with a very serious expression on her face. After the mother had stood for a moment she said, “What was mama’s little girl saying?” The little girl replied, “Mama, I was just saying, if the devil bothers me today, I am going to knock the ‘stuffin’ out of him.” Some poor Christians are trying to do this, but he is too much for any of us. The task is too great. Only Divine power can defeat the supernatural power of “that old serpent, called the Devil, and Satan, which deceiveth the whole world” Revelation 12:9 . The Lord Jesus Christ spoke of the sinner as being the house of the strong man (Satan), and said that He alone could bind the strong man and take his house. Matthew 12:26-33 . The moment the Word is preached to the sinner, Satan tries to cause the seed to fall by the way side and then he devours the seed. Mark 4:15 . It is Satan, as the prince of the power of the air, that controls the motives, desires, thoughts, acts, and words of the unsaved of this world, make NO mistake about that, and learn to recognize it. Ephesians 2:2-3 . It is Satan, as the god of this age, that blinds the minds of the poor unbelieving lost sinners, lest the light of the glorious gospel of Christ should shine into their hearts. 2 Cor. 4:4 . Now pay attention, Satan has RELIGIOUS children, and sows them as tares among the wheat, the Children of God. Matthew 13:38 . John 8:44 . It is quite often difficult to tell a cultured, moral, religious, agent of Satan, tare in the congregation FROM the wheat. When the LORD Jesus Christ died on the cross he destroyed Satan’s power of death. Hebrews 2:14 . But his final defeat will not come until this same Jesus binds Satan and puts him into the bottomless pit for one thousand years and ultimately casts him into the lake of fire. Revelation 20 .The everlasting fire was originally prepared for the devil and his angels. Matthew: 25:41. Satan can even now cause a saint to lie to the Holy Ghost. Saints, for sins in the flesh, were delivered to Satan for the destruction of the flesh. Acts 5:3 . 1 Corinthians 5:5 . Satan can hinder the most consecrated saint. 1 Thessalonians 2:18 . Satan can make a church officer fall through pride, especially if a novice is appointed to this office. 1 Timothy 3:6 . Many of these cases have come under our observation. We see this all the time. If you will read carefully the twenty-eighth chapter of Ezekiel, beginning with the fourteenth verse, and the fourteenth chapter of Isaiah, beginning at the twelfth verse, you will learn that Satan was the anointed cherub of God, perfect in the day he was created, until he fell through pride. All sin began with the “I will’s” of Satan. There is no use trying to understand or explain the “Why” of Satan. It is a mystery, but it will all work out to the glory of the Son of God. We DO know that Satan is a person, that he was a perfect creature of God, and that he fell from heaven because of his revolt against his Creator. Christ said: “I beheld Satan as lightning fall from heaven” Luke 10:18 . However, currently, Satan still does have access to Heaven. THAT will be resolved later. Revelation 12:7 . There was something besides any evil influence from within that tempted The LORD Jesus Christ in the wilderness and offered Him all the kingdoms of the world. Luke 4 . Matthew 4 . Christ had NO evil within to tempt Him. He was holy, harmless and undefiled. The LORD Jesus Christ made no mistake when He acknowledged Satan as the prince of the world. John 12:31 . Now this is important, The Satan of the Scriptures is quite different from the devil of tradition. Satan is more than evil. He is a person with mighty power. He is the enemy of God and His holiness, of The LORD Jesus Christ and His disciples. As the accuser of the brethren he accuses them night and day. Revelation 12:10 . The saints overcome him by the blood of the Lamb, and by the word of their testimony. Revelation 12:13 . Satan afflicts with sickness. Luke 13:16 . Job 2:6-7 . Satan is directly or indirectly responsible for all of the sin, sickness, sorrow, crime, poverty, and death in the world. He, as the “serpent”, beguiled Eve. He was the first to challenge and criticize the Word of God and to corrupt it, and make NO mistake about it, EVERY destructive critic of this age, in and out of the pulpit, is his agent and servant, as ALL of them down through the ages have been. Satan entered into Judas, the son of perdition, to betray the Lord Jesus Christ. And he will also enter again the son of perdition, the Antichrist, or man of sin, who is to be Satan’s man. 2 Thessalonians 2:4-9 . Nothing but the Shield of Faith will enable the Christian to quench the fiery darts of this evil one who is playing havoc with the sleeping saints and the worldly churches of this day, to say nothing of the millions who are lying in heathen darkness. He has struck, with a terrible blow, many of the most useful servants of God in the Body of Christ. The pastor’s little girl who heard the story of Satan and the story of The LORD Jesus Christ, said to her mother when saying her prayer, “Mother, from now on when Satan knocks at my heart’s door, I’m going to say, Lord Jesus, you open the door.” Only in Christ is there victory over this constant and relentless enemy. So let us read carefully over and over concerning the armour that God has provided for us and let us put it on.Ephesians 6:10-18 . Satan wanted to sift Simon as wheat. Luke 22:31 . Satan bound with an infirmity for many years a daughter of Abraham. Luke 13:16 . He was on hand when the sons of God went forth to worship God. Job 1:4-6 . He afflicted Job. Job 2:7 . Satan has led many of God’s children into his religious healing schemes in these last days. And let’s never forget, the Antichrist is coming with the power of Satan performing miracles. 2 Thessalonians 2:9-13 . The Son of God, The LORD Jesus Christ, was manifested to destroy the works of Satan. Let Christ be our refuge, our strength, our Conqueror. He is altogether able to assure victory. Take a moment and read what is yet to take place on this earth when Satan comes down to reign with the beast and in the antichrist. Revelation 12:7-15 . But now read, and note, Colossians 2:15 and what Christ did to principalities and powers. “Put on the whole armour of God, that ye may be able to stand against the wiles of the devil. For we wrestle NOT (a regular mistake for most Christians is looking at the person and NOT the evil spirit behind that person) against flesh and blood, but against principalities, against powers, against the rulers of the darkness of this world, against spiritual wickedness in high places. Wherefore take unto you the WHOLE armour of God, that ye may be able to withstand in the evil day (the day that the moment of temptation is on you), and having done all, to stand” Ephesians 6:11-13 .